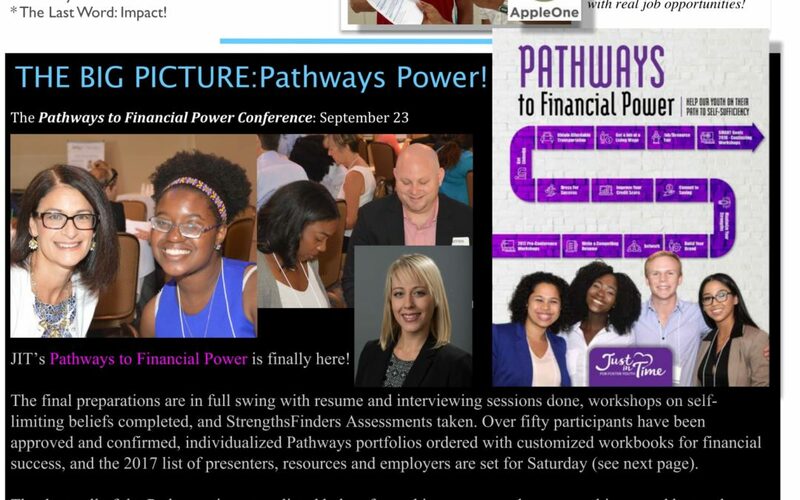 Pathways to Financial Power is finally here! 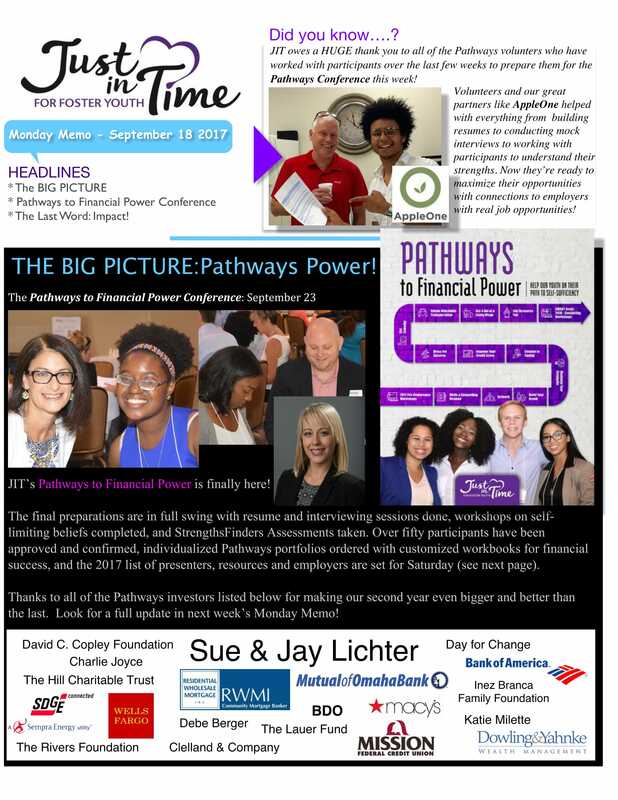 This Saturday, 50+ JIT participants will connect with staff, inspirational speakers, potential employers and volunteer Pathways Planners to help move them down the road toward three intended impacts: Participants achieve financial security; Participants develop and leverage supportive relationships; Participants define themselves, their power and their future. 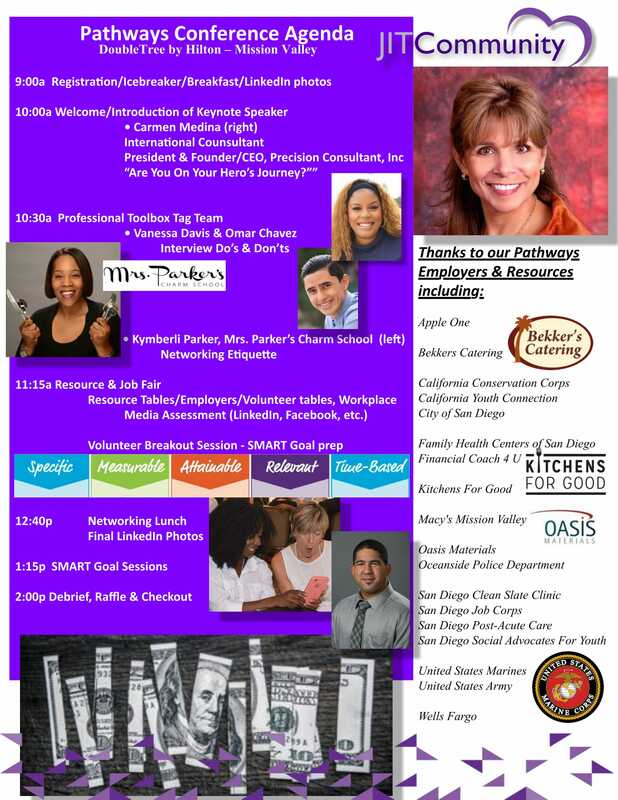 The Pathways Conference is the next step in what will be an 8-month long capacity building process and we’ll be tracking their progress every step of the way! Thanks to Pathways Coordinator, James Monroe, for leading the effort and our JIT community for making this coming Saturday another great event for the youth we serve. 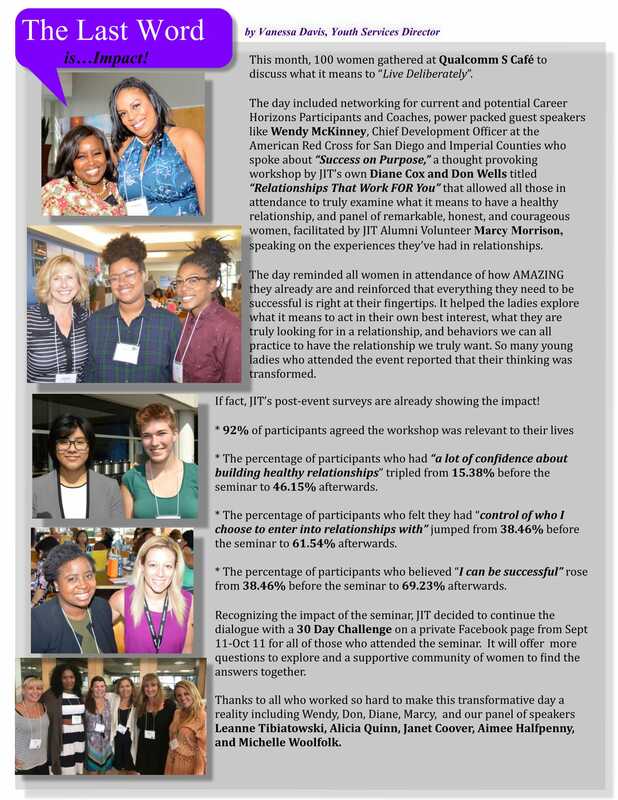 In today’s Last Word, we also share a follow-up to the Career Horizons “Living Deliberately” seminar showing the initial impact of this innovative effort by Youth Services Director Vanessa Davis.